Lux Channel i Super star Moushumi Hamid came into the spotlight when she won as 1st runner up in the “Lux Channel i Superstar” talent hunt. The TV performer has made inroads into the film world and also a popular model. Bangladesh Actress Moushumi Hamid debut movie in Dhalliwood was “Na Manush”, directed by Animesh Aich. Moushumi Hamid upcoming films are “Hudsoner Bondhuk” and Jalaler Pithagan. Hudsoner Boundhuk based on a novel by Syed Shamsul Haque, is directed by Proshanta Adhikeri. Shooting in Sylhet and Dhaka is nearly complete. Another film Jalaler Pithagan produced by Impress Telefilm, is directed by Abu Shahed Emon. Moushumi Hamid is also very busy with many one-hour drama and serials for different TV. Her Drama serial “Alashpur” is being aired on RTV. The drama serial “Bhalobaser Chatushkon”, where she plays a university student is being aired on ntv. 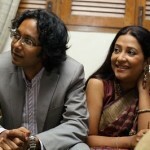 Film Actress Moushumi Hamid has also played RJ in the series “Radio Chocolate” on Desh TV. Apart from this, she features in a TV play titled “Game” on Channel 9 of Bangladesh. Model and Actress of Bangladesh Moushumi Hamid posed in a photo session. Bangladeshi Actress Moushumi Hamid performing in a drama serial. Film Actress Moushumi Hamid idol is Suborna Mustafa and also a great fan of film actress Moushumi. “In my childhood, I was a tomboy,” says the Lux Superstar. “I am an eager fan of cricket,” Moushumi Hamid adds. Moushumi Hamid recently rooted for Bangladesh in a match versus New Zealand. Moushumi has also become a popular media personality across the border in Kolkata. 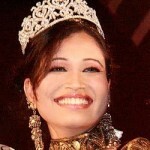 TV play “Roshni” earned her huge popularity. It was telecast by Channel i and ETV in Kolkata. 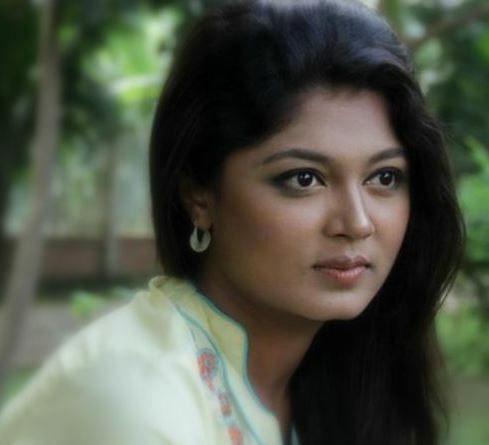 Acting is her passion, says Moushumi Hamid, who wants to forge ahead in the media of Bangladesh.